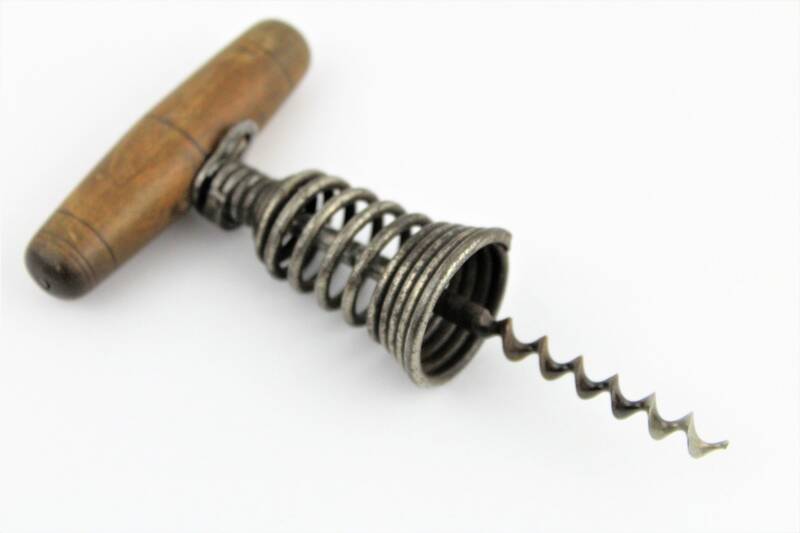 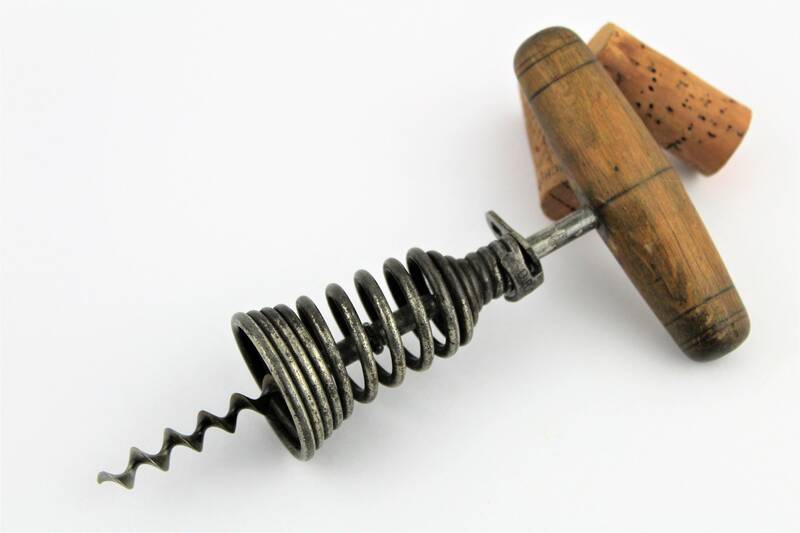 We have for sale a 1906 Antique German Spring Barrel Corkscrew by G.USBECK. 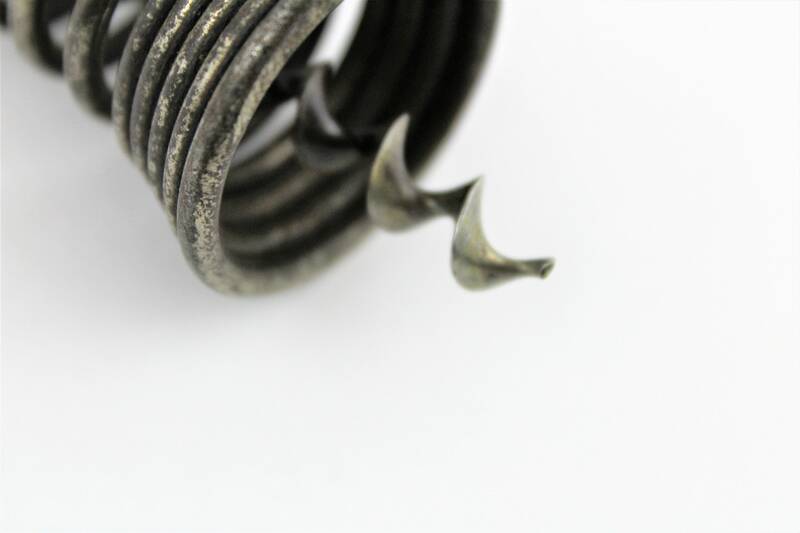 Rare Georg Usbeck of Steinbach-Hallenberg corkscrew marked- DRGM. 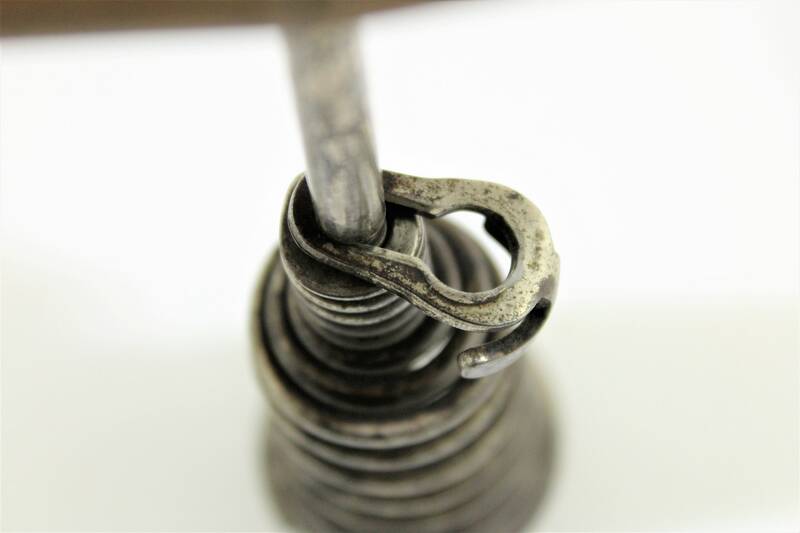 This spring barrel has a slotted retaining clip which holds the spring barrel in place. 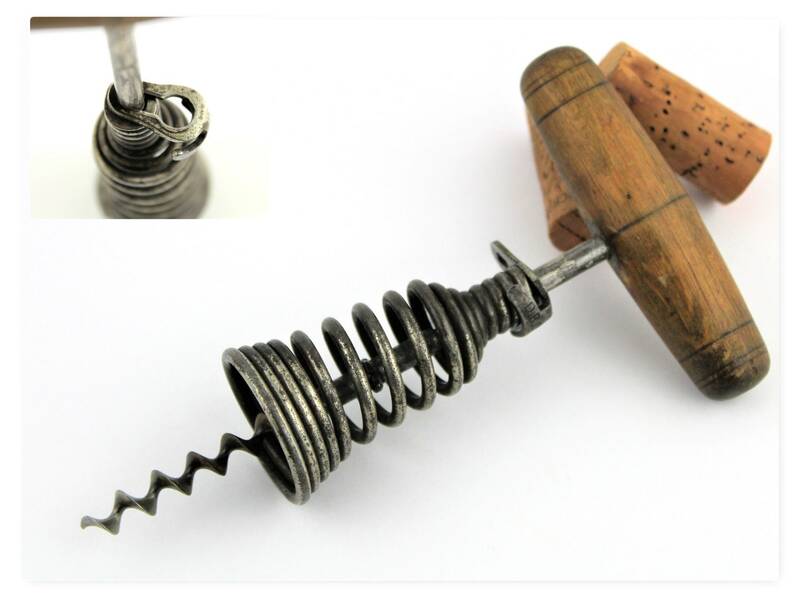 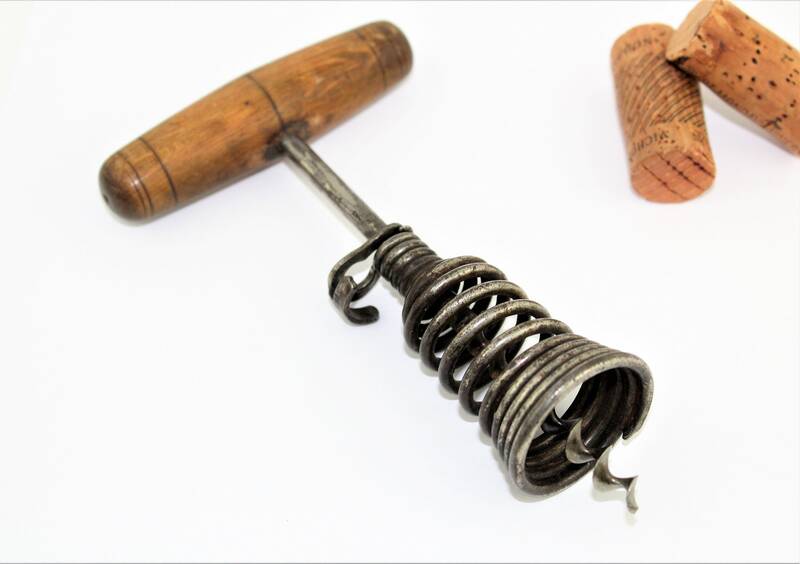 To use lock the retaining clip into the shank this hold the spring as you extract the cork from the bottle to remove the cork from the screw simply pull the retaining clip and slide the spring barrel up revealing the cork.